PLUSCO 2015 "ONE-SHOT" Storage and Running Compound contains an additive package designed to provide total protection to thread and shoulder surfaces. This is especially true during make-up and breakout. It provides ease of make-up to prevent galling in thread connections and breakout under adverse conditions. 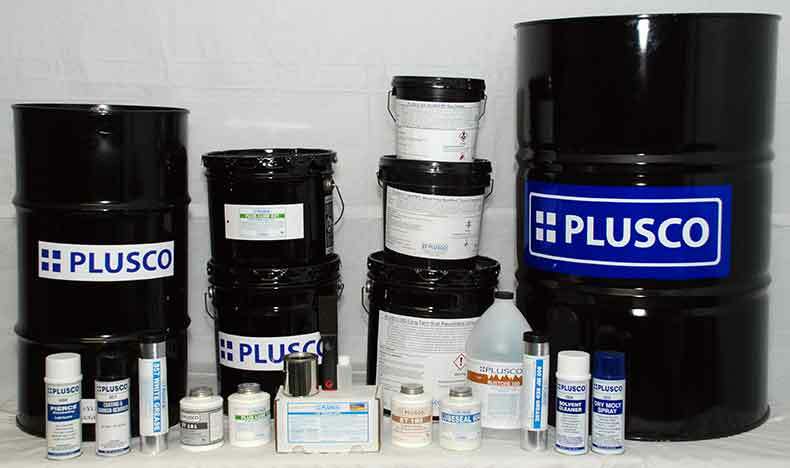 PLUSCO 2015 "ONE-SHOT" Storage and Running Compound contains corrosion and rust inhibitors, provides excellent water resistance and adheres to wet metal surfaces. "ONE-SHOT" will not harden, protects galling and seizing and remains brushable over a wide temperature range. PLUSCO 2015 "ONE-SHOT" Storage and Running Compound was developed to address some of today's stringent environmental concerns. This storage and running compound contains no metals which may create a corrosive condition thereby eliminating galvanic action commonly found in thread compounds which contain various dissimilar metals. "ONE-SHOT" contains no lead, zinc, aluminum, copper or other metallic additives which could contaminate a drill site. This product meets the requirements as outlined in API 7A1. PLUSCO 2015 "ONE-SHOT" Storage and Running Compound is not affected by hydrogen sulfide, salt water or downhole chemicals which commonly react with metals found in conventional thread compounds. This environmentally oriented thread compound provides ease of make-up and break-out on a wide range of pipe composition, or thread configuration. It provides excellent service performance in the area of lubrication, sealing and corrosion protection during periods of storage. PLUSCO 2015 "ONE-SHOT" Storage and Running Compound is an "All in One" Compound designed to replace the use of separate compounds for storage and running applications. PLUSCO 2015 "ONE-SHOT" Storage and Running Compound is metal free formulated to replace metal powdered tool joint and drill collar compounds commonly associated with most conventional thread compounds.